The world of VR gaming is getting stronger. The detractors who thought that VR was going to be a passing fad that failed like Microsoft’s Kinect or Sony’s PS Move are essentially silenced at this point. Now that we know VR is here to stay given the robust library available on Steam, it’s now an arms race to see who can provide the best experience in VR for the price. 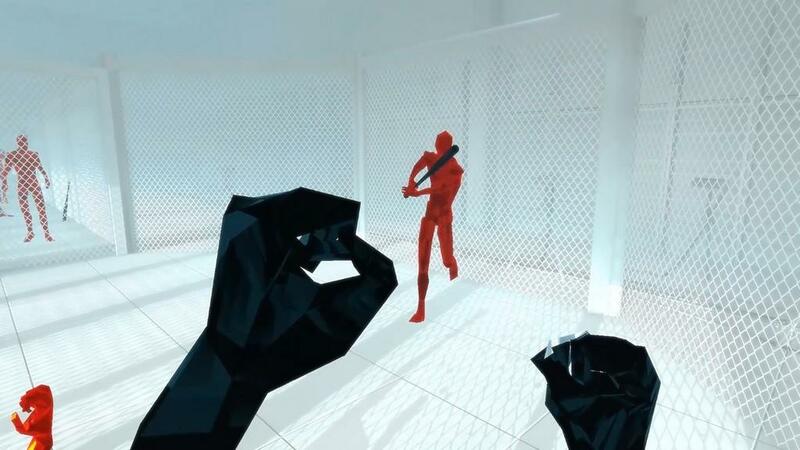 Enter the game Superhot VR, a title that currently sits near the top of popularity on the VR gaming list for Steam, and I’m here to tell you that it’s worth the money to get this title. 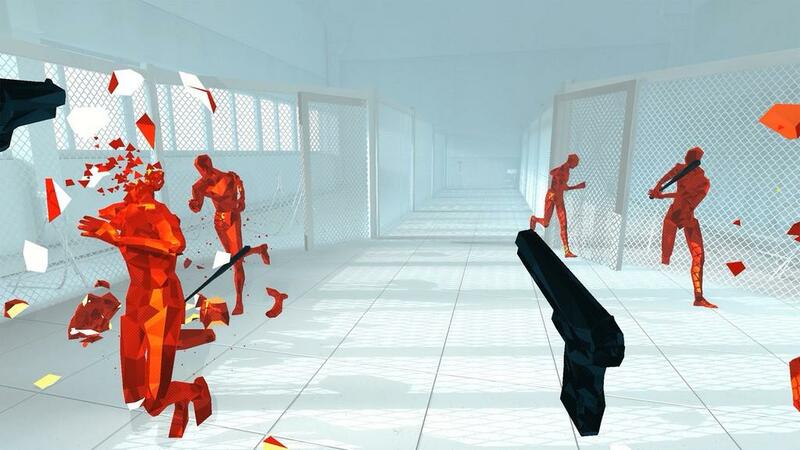 Superhot VR is a unique take on what can only be described as an FPS / Beat-em-up hybrid. The game throws you into the mix without much explanation, forcing you to learn on the fly. This isn’t a bad thing, as tutorials are either painfully easy or boring as hell. 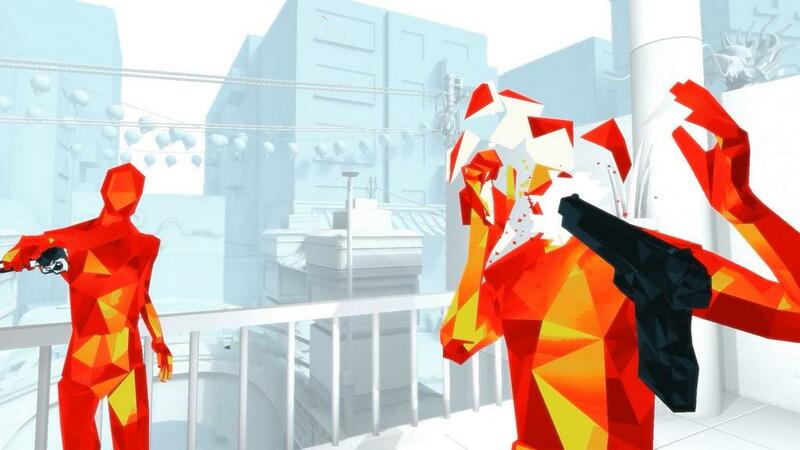 Superhot VR is the mother bird in the nest and you’re the chick that gets tossed out of the nest while the game yells “FLY! FLY!” hoping you don’t hit the ground. This works, because learning how this game responds doesn’t take long at all. The game mechanics are easy to learn: Survive the attackers that are coming at you, showing up as bright red polygon figures. There are four ways to take these figures out: Punch them, shoot them (if you have guns available), throw objects at them, or use a special power that becomes available a couple of chapters into the game. The trick to the game is that everything is running in bullet time and time only flows when you move. Any movement whatsoever, such as moving your hands, sidestepping, or turning your head will allow time to continue. How fast things move is completely dependent on how fast you are moving. It’s a simple yet brilliant way to provide a unique experience to this genre. It sounds simple, but this game is designed to make sure it will punish you for any mistakes that are made. The punishment comes in the form of strategically placed enemies and how the react with movement. For example, there is a level that starts in a meat locker. The first enemy is immediately on you and can be dispatched with a simple punch. His knife flies into the air and, if you don’t react in time to grab it, it causes you to essentially lag behind in time. The second enemy is coming from the opposite side of a rack, forcing you to adjust and take him out quickly. If you’re behind on time, the third enemy that was hidden behind the rack will come around and wipe you out because you simply do not have the time to recover after the movements. As you get deeper into the game, these timings become far more important, especially in situations where your job is to dodge bullets at first before you teleport to the second spot and have the ability to kill your enemies. 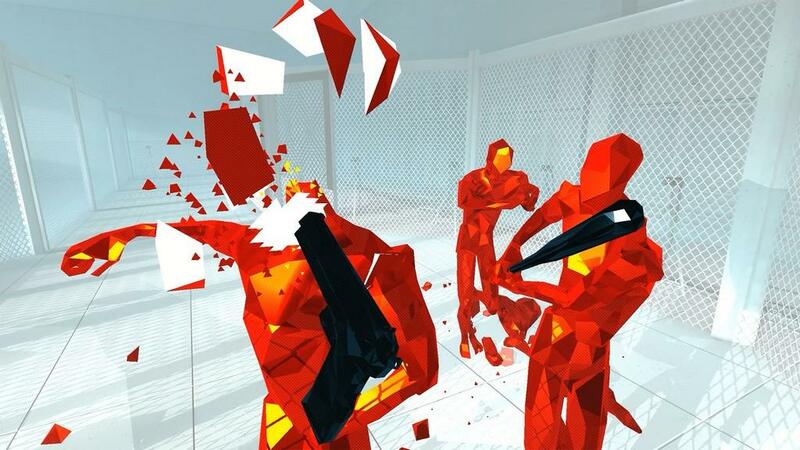 Superhot VR does a fantastic job of mixing up how you have to kill your enemies and whether or not dodging is vital. I learned early on that some objects can be used to block bullets as well, such as a cast-iron frying pan that basically becomes as potent as the best shield in any RPG. Surprisingly enough, guns can also block bullets and knives can slice them in two. Of course the timing needed to pull all of these off varies on how you play. I found that moving in slow motion all the time is not as easy as it sounds and cramping in my thighs during gameplay is my reminder that I’m no longer twenty years old and can shrug off anything. The true simplicity of this game reminds me a lot of Mirror’s Edge in that it’s all color coded. The background and obstacles are white with just a slightly dark shade to show shadows when needed. 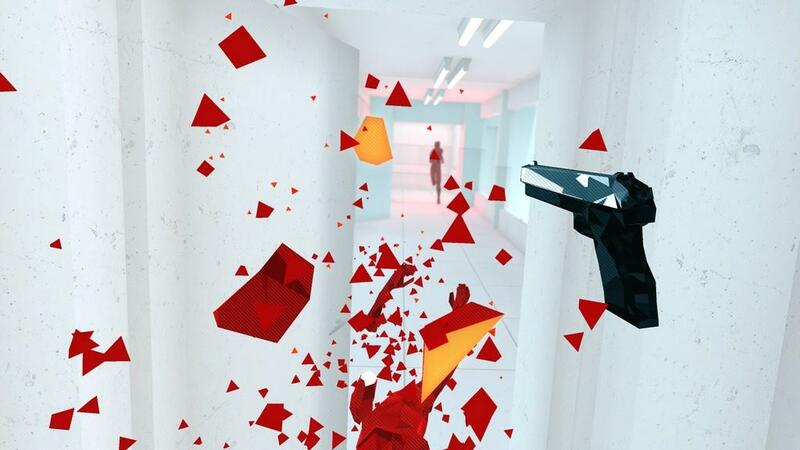 All the enemies come up as red, much like how the way to progress in Mirror’s Edge are red ramps, walls, and ropes. Finally, every item you can interact with, whether it’s a knife, pistol, shotgun, bottle of wine, or frying pan all appear as black. I do have just the slightest of gripes with this as throwing a simple plate at an enemy will eliminate them. I don’t know what those plates are made of, but keep me away from that store. 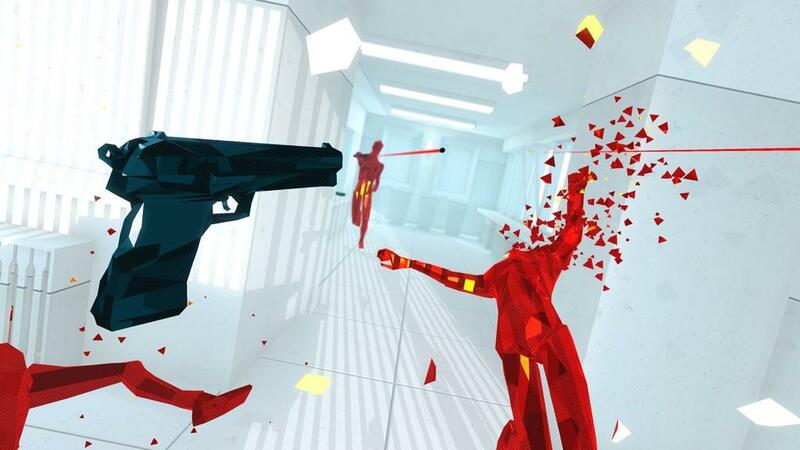 If there’s one complaint I have about this game, it’s that the full runthrough of Superhot VR only takes a couple of hours, but with promises of more levels and potential DLC on the way, I’m quite alright with that. This is a game that also doesn’t utilize a difficulty mode because you can make this game easier or harder simply based upon how fast you move. There’s also the thought that even changing your default position such as starting out kneeling or sitting might even make things more difficult. I’ve tried playing this game just moving normally and, well, it didn’t go well. Normal to fast movements basically becomes an exercise in futility as attempting to survive becomes the world’s worst game of hot potato, except your opponents have guns and knives. 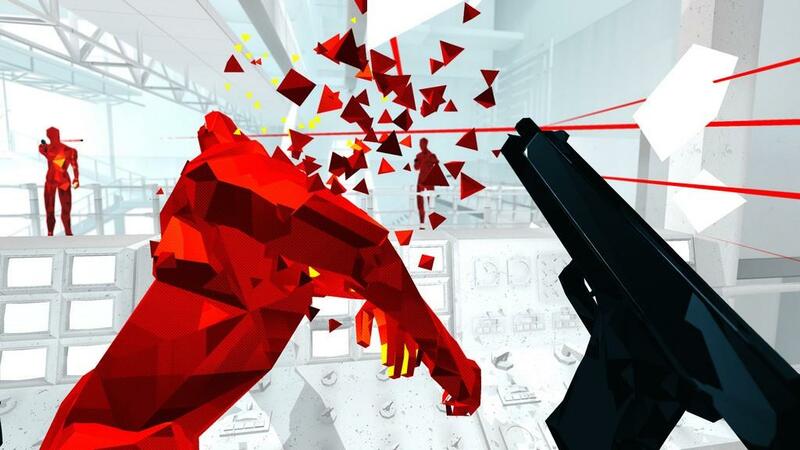 Superhot VR is a reminder as to why I dished out $800 for a Vive last year. This is what VR is all about: An easy to learn yet incredibly fun and challenging title where every movement counts and you truly feel like you’re in the game. VR has come a long way in such a short period of time, and if we continue to get titles like Superhot VR, we’re in great hands for years to come. 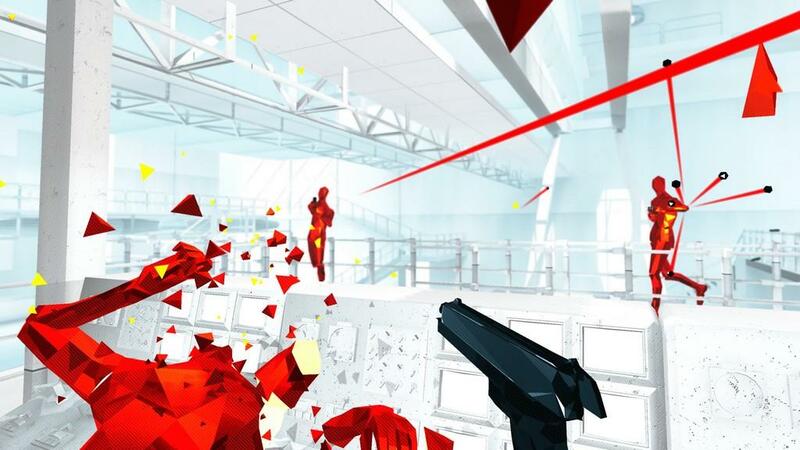 Simple yet effective, Superhot VR gets it spot on from start to finish with mechanics that are easy to pick up on yet the overall game is as challenging as any VR title out there. This is a must have for VR owners who truly want to unlock the potential in their VR system.